Growing up in Texas, Jonathan and Justin Fox were inspired by the open sky, the Texas heat and the southern spice. With no professional training, the self-taught, identical twins developed a passion for cooking for friends and family. It wasn’t until he moved to Atlanta in early 1998, that Jonathan became more serious about cooking; Justin followed shortly in 2000. After scouring Atlanta for the perfect barbecue joint, the brothers decided to take matters into their own hands. Fox Bros. Bar-B-Q started as a friendly backyard gathering with plenty of friends eating good barbecue and listening to live music. The backyard get-together turned into cooking for over 250 people. In 2004 the brothers were introduced to Dan & Beau Nolen, and Mike Reeves of Smith’s Olde Bar. The Fox brothers went from barbecuing in the backyard, to cooking seven days a week at Smith’s and catering various events all over town. In 2005 Jonathan was laid off from his corporate job. This was far from a setback, as catering, alone, had become a full-time job. While serving at Smith’s Olde Bar, the Fox brothers began to receive a lot of local press. They were even announced as runner up for “Best Overall Bar-B-Q” in the city of Atlanta, by the Atlanta Journal-Constitution. 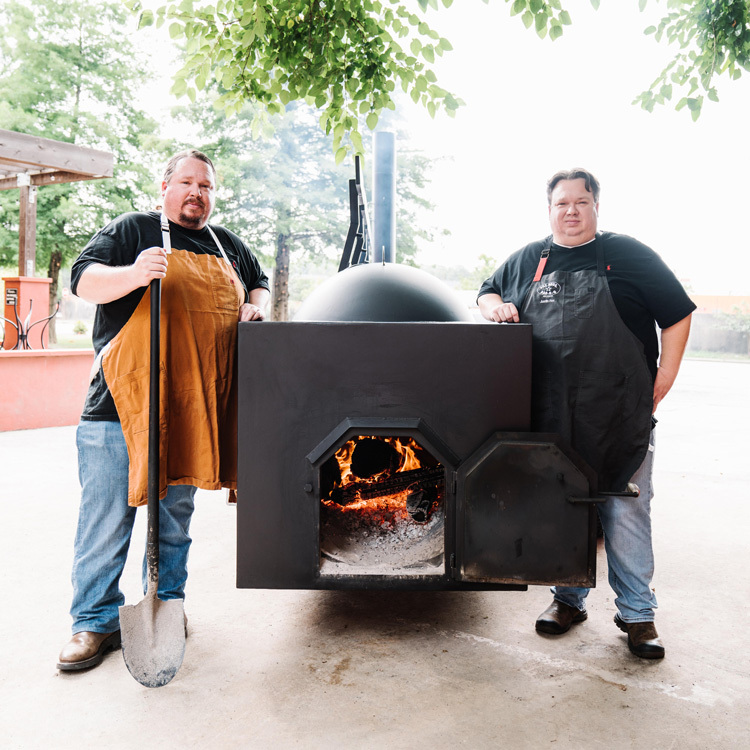 With continuing success at SmithÂ’s Olde Bar, the brothers teamed up with Reeves and the Nolen’s to take the barbecue business to the next level. 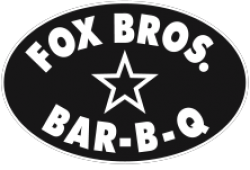 Fox Bros. Bar-B-Q opened their Dekalb Avenue restaurant in August 2007. With a loyal following already built up, the restaurant thrived in the Candler Park neighborhood. In August 2012, disaster struck when a 100-year-old tree fell on top of the restaurant’s two main dining rooms. Thankfully, no one was hurt. Jonathan and Justin were overwhelmed by the support from community and it was with that help, they were able to clean up, and reopen in less than 48 hours. With that same determination, the Fox brothers set to embark on a second round of construction to improve the restaurant. The renovations brought more bar and upgraded patio space, and restored the indoor seating capacity they once had. Today Fox Bros. Bar-B-Q has become not only an Atlanta staple but a southeastern staple, with features on Good Day Atlanta, CBS Better Mornings, Fox News, The Weather Channel, TLC, HGTV, and The Food Network.